NEAR Shoemaker took this image on October 30, 2000, from an orbital altitude of 189 kilometers (118 miles), as part of a color mapping sequence. 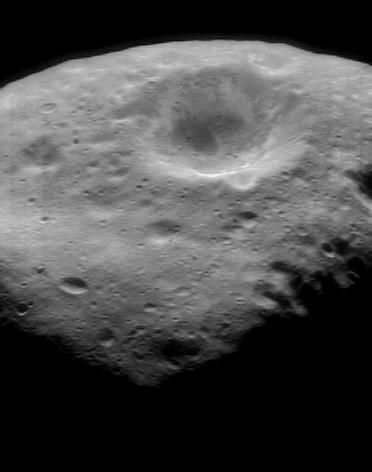 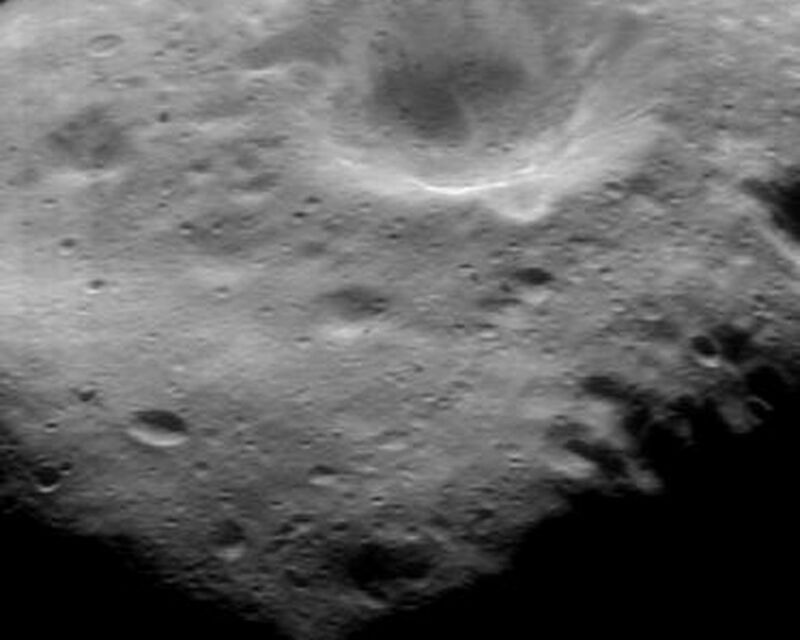 The whole view is about 6.7 kilometers (4.2 miles) across and shows the inside of a 3.2-kilometer (2-mile) diameter crater. 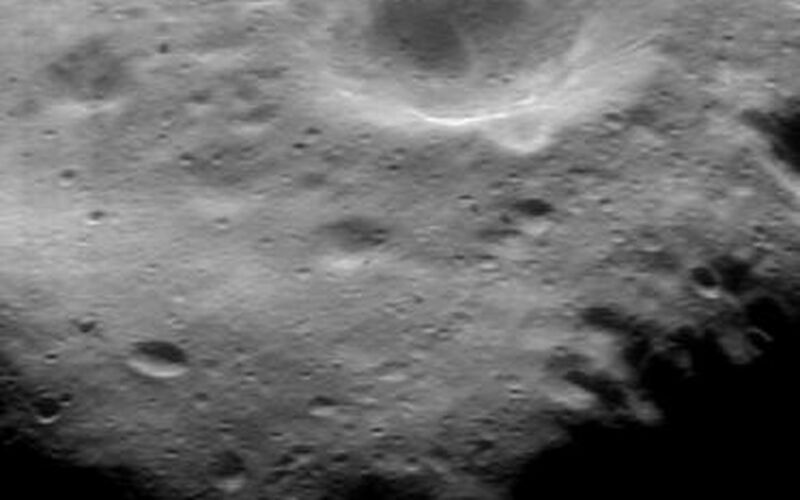 The brightness features on the crater's wall are characteristic of most of the larger craters on Eros.